When the Storm Hits, What Now?" ​Goal: This project will investigate the communication of tornado warning information among individuals who are Deaf, Hard of Hearing (HoH), Blind, Low Vision (LV), and DeafBlind. 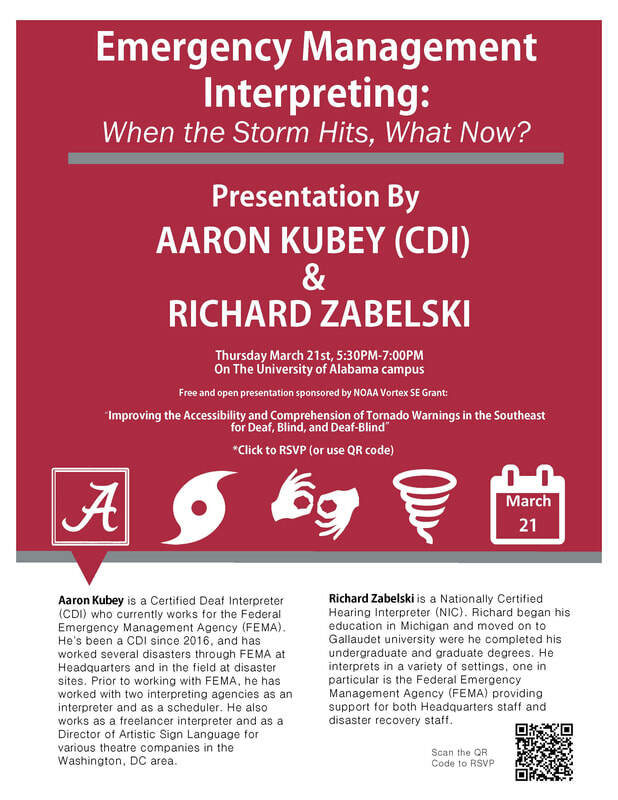 It aims to improve our understanding of the sociological, linguistic, and cultural factors that influence how individuals from specific vulnerable groups receive, process, and respond to tornado information.